Hugo Frey was born on 14 April 1915 at Heilbronn in the Neckar region of Württemberg. At the outbreak of World War 2, Frey was serving with 1. (J)/LG 2. 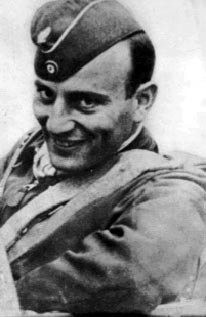 He gained his first victory over Poland on 4 September 1939 over PZL-11. He gained a further victory during the French campaign over Potez-63. In December 1940, Frey transferred to JG 1. He was assigned to 2./JG 1 based on the German Bight. Frey developed into one of the foremost German aces against the USAAF four-engined bomber formations. He shot down his first four-engined bomber on 21 January 1943. By 29 July he had recorded 10 four-engined bombers shot down. Oberleutnant Frey was appointed Staffelkapitän of 7./JG 11 on 1 April 1943. On 26 November, Frey shot down two USAAF B-17 bombers and a P-47 fighter to record his 20th through 22nd victories. He shot down a further two B-17 four-engined bombers on 11 January 1944. On 6 March 1944, Frey scrambled to intercept an attack on Berlin by Allied bombers. In an outstanding performance Frey shot down four B-17s before return fire from a fifth sent his Fw 190 down to crash near Coevorden, Holland.  He was posthumously awarded the Ritterkreuz on 4 May 1944. Hugo Frey was credited with 32 victories. All his victories were recorded over the Western Front. Included in his total are 25 four-engined heavy bombers.